Dr. Jacquie Smiles is an Elite Provider of Invisalign on Long Island, NY and helps kids, teens and adults achieve straight and attractive smiles with Invisalign clear braces. Invisalign straightens your teeth without any brackets or wires, but with a series of clear, customized, removable appliances called aligners. 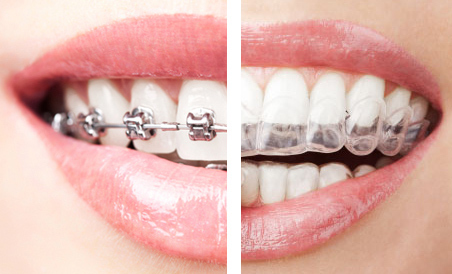 These type of “braces” are more convenient as they are removable and not permanent fixtures. A complimentary consultation with Dr. Jacquie Smiles on her Long Island orthodontic practice can determine if Invisalign is right for you. 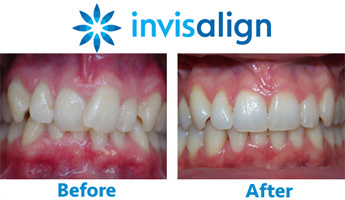 Invisalign consists of a series of clear plastic aligner trays that fit closely over your teeth. The aligners are custom-made to gradually move your teeth into the correct positions. Each set of aligners is worn for two weeks, and they need to be left in the mouth for approximately 22 hours each day. Every two weeks they are exchanged for a brand-new set. Your Invisalign dentist in Long Island will supply you with several sets of aligners at a time, although you will need regular checkups during treatment. Most people will need to use these aligners for 12 to 18 months, but the exact length of time required does depend on the orthodontic issues needing correction. 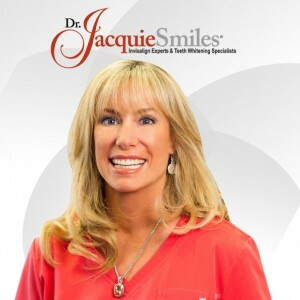 Watch the video below as Dr. Jacquie Smiles explains how Invisalign works. Lots of people struggle to keep their teeth and gums clean and healthy while wearing conventional fixed braces. This is not an issue with Invisalign as the aligners are removed whenever you eat or drink something, and can be taken out for brushing and flossing. It is extremely easy to maintain good dental health right throughout treatment. In addition, there are no diet restrictions as the aligners are always removed before eating. Treatment is extremely comfortable as Invisalign doesn’t contain any brackets or wires that may dig into the cheeks or gums. It’s best for the orthodontist to see children by age 7 to advise if Invisalign treatment is required and the best time for that patient to be treated. 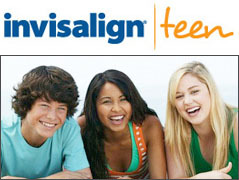 It’s best for the orthodontist to see children by the age of 7 to advise if Invisalign treatment is required. Crossbites, crowding, excessive overbites and other problems can be evaluated and predicted at a very early age for kids without the use of x-rays. When selecting an Invisalign specialist on Long Island for your child, ask if the practices is kid friendly with fun and exciting atmosphere. At Dr. Jacquie Smiles’ office in Long Island, we are specially trained to help relieve your child’s anxiety and has experience working with children. 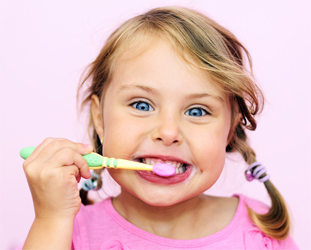 We have video game systems and flat screen TVs so your child will not have fear when visiting a dental office. Now teens don’t have to worry about embarrassing metal braces in their yearbook photos or social media profiles. Dr. Jacquie Smiles offers a clear way to straighten teeth without metal braces, using Invisalign for teens on Long Island, NY. Invisalign aligners are removable and virtually invisible, which means you can straighten your teeth without anyone knowing. You can still eat and drink what you want. You may also brush and floss normally to maintain healthy gums and teeth since there are no wires, metal or brackets to cause mouth abrasions. Invisalign clear braces can be successful at any age, and adults especially appreciate the benefits of a beautiful, healthy smile. Dr. Jacquie Smiles offers a variety of orthodontic treatments for adults on Long Island area who are looking to straighten misaligned teeth, correct overbites and/or underbites. Our orthodontics treatments can improve the look of your teeth, improve your smile as well as prevent the damaging effects crooked teeth may cause. Ask us about our accelerated braces for adults. It is becoming a popular solution amongst adults as a way to speed up the process with rapid orthodontists by avoiding the wait two or three years over traditional wire braces. One of every five patients in orthodontic treatment is over 21. For adults, having metal braces is enough to discourage them from seeking treatment and improving their smile. However, today’s latest advancements in orthodontic treatments offer a variety of braces options that are comfortable, visually appealing and customized to meet your needs with Invisalign. Chose an Invisalign specialist on Long Island that has completed an additional two to four years of full-time advanced training. Make sure to verify their education background that they have completed an accredited orthodontic program. There are many benefits of selecting a board certified orthodontist. An orthodontist who is board certified has achieved the highest level of training and certification possible. Many dentists on Long Island may offer Invisalign treatments in their offices but do not necessarily have the right knowledge or skills to evaluate every case properly. Dr. Jacquie Smiles completed her DMD degree and orthodontic residency at Boston University and after graduation became the first female and youngest Director of B.U.’s Predoctoral Orthodontic Department. She is a member of The National Speaker’s Bureau and is an Invisalign Super Elite Provider, reserved for the top 1% of doctors in North America. Schedule your no-obligation Invisalign consultation with Dr. Jacquie Smiles on Long Island, NY today. She is a member of The National Speaker’s Bureau and is an Invisalign Super Elite Provider, reserved for the top 1% of doctors in North America. Please call us at [drj_phone location=”woodbury”] or fill out our contact form to receive additional information on Invisalign clear braces.